Anna Asplind is a swedish choreographer/dancer based in Stockholm. She finished her studies at the Ballet Academy of Gothenburg in 2008 and she earned her bachelor degree in Human Geography in 2014. In Asplind’s earlier work she has been engaged in the investigation on dance in relation to perception and understanding of different places. Since 2009 she has been working with a serie called “Dancewalks”, which is a site specific dance installation that has been produced in several public and semi public spaces throughout Europe. In this work she invites the audience to experience space through their bodies with instructions from an audio guide. Anna also works in different constellations and collaborations. 2015 she started a new collaboration together with the choreographer Anna Koch and Daniel AlmgrenRecén. She co-produced a site specific performative serie The Ecological Theater together with AlmgrenRécen at the Biological museum in Stockholm during spring and summer 2015. Since 2013 she is a part of the plattform Random Collision in Groningen, Holland. She is also a part of the networking project FastForward, a dramaturgy lab in cooperation between Sweden and the Balkans. In her work she moves between different art fields as well as architecture and human geography. In 2013 she founded Temporära Konsthallen together with Linda Karlsson. She performed in festivals and at stages like Weld (2016) in Stockholm and Skogen in Gothenburg (2016), Sweden, Norderzoon festival, Groningen (2013, 2014), Deutsche Oper (2011), Uferstudios (2011), Theaterhaus Mitte (2011) and MADE gallery (2011) in Berlin, the Opera of Copenhagen(2009), the Opera of Goteborg (2008) and Atalante (2010) in Gothenburg. She presented her own work at (X) Sites Kattegattleden (2017), GRÄNSLAND, MELLANRUM, AVGRUNDER (2017), Färgfabriken in Stockholm (2015), the Biological museum in Stockholm (2015), The arthall in Haninge Kulturhus, Konstfrämjandet Värmland in Karlstad (2015) Ada Studio (2010), KnockKnock (2012) and KulturAble (2010) in Berlin, in the art hall Lokstallet (2009/2011) in Sweden, at the 33d International FilmFestival/Atalante (2010) in Goteborg, at the festival ArtFart (2010) in Reykjavik and at Valvet Underground in Stockholm (2010). 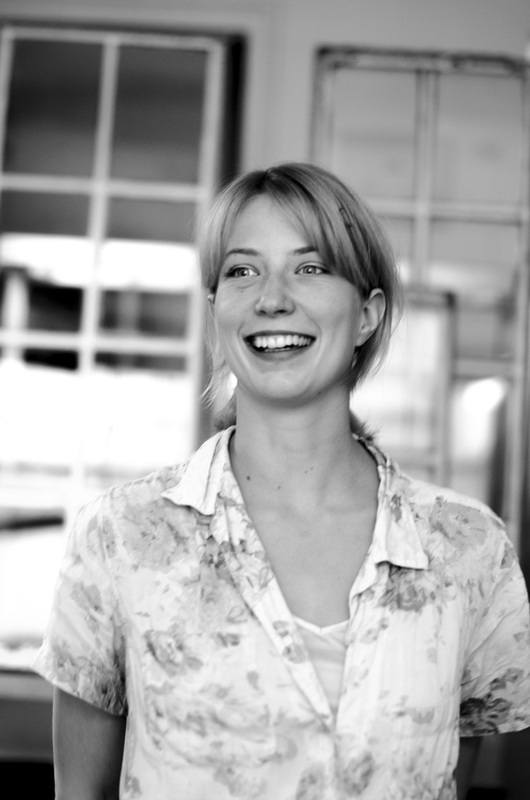 She worked as a danceartist and teacher in Mobila Dansverkstaden of Dance in Värmland (2008) and she started the dance collective FAS (2009) in Berlin. Sine 2014 Anna have been giving lectures and workshops at the University of landscape architecture (SLU) and industrial design (HIG). She has worked with such choreographers as Ido Batach, Jasmine Ellis, Tomas Falk, Marco Santi, JunJun sience, Carl-Olof Berg, Israel Aloni, and Maciej Kuzminski. 6 sensory maps based on bikedèrives in Handen, Haninge. Produced together with graphic designer Jonathan Sahlin. Choreographer/Dancer in collaboration with Anna Koch and Daniel AlmgrenRecén. Artistic Director/Curator/Choreographer in collaboration with Daniel AlmgrenRecén. Co-produced with MDT and Biologiska museet. Performance in collaboration with Jens Edvaldsson and Linda Karlsson. Artist director/Choreographer/dancer in collaboration with Peter Uhr. Choreographer and dancer in a video by Kerstin Hamilton. Dancer in a Random Collision production by Ido Batash, Jasmine Ellis, Thomas Falk. Creating Site-Specific Dance and Performance Works.